installation at 1730 S. Akard St. I was commissioned by Kat Cole to create an interesting background to showcase her sculpture. The area space for the wall is about 20 x 16 feet. Her art is 11 x4 feet. My concept was to make a covering to help set the stage for her upcoming site specific installation. A few pics below show the graffiti and my proposal. The wall on Beaumont and Akard has layers of paint and a history. Daniel Yanez had a lovely mural on this building until a ruffian tagged it. I didn't want to erase the mural entirely but wanted to work in the new covering. 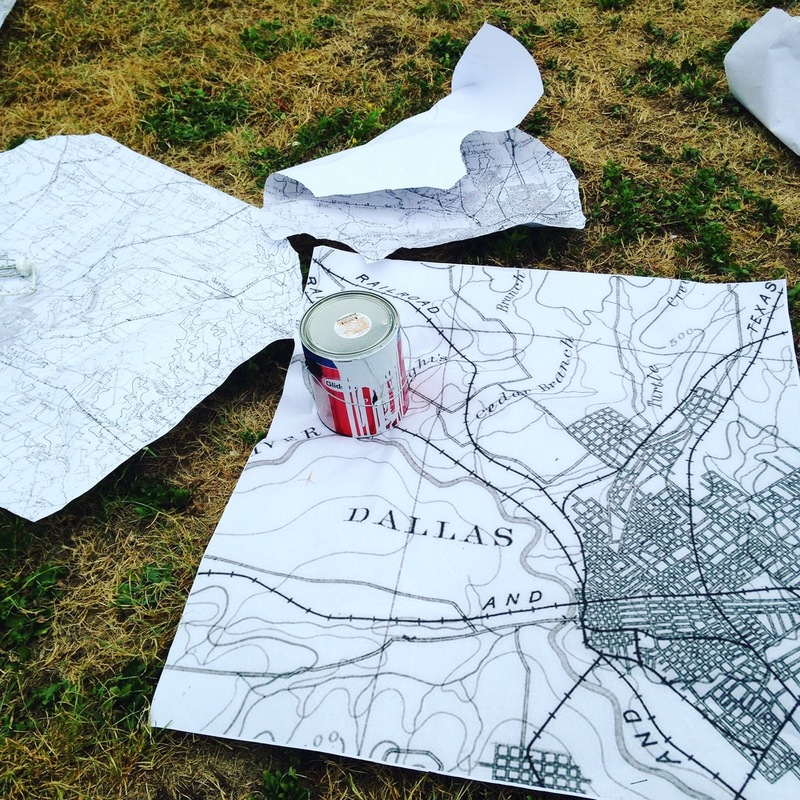 Wheat paste paper maps and incorporate paper to work with original mural below. Install of Project: Crossroads happens on August 27th.